With over 38 million residents, Tokyo, Japan is the #1 most populous city in the world, yet one of the cleanest and most orderly as well. Despite the crowds and busyness, no one ever ran into someone else, there wasn’t a single piece of trash on the ground, and everyone remained extremely polite and respectful amidst the madness. 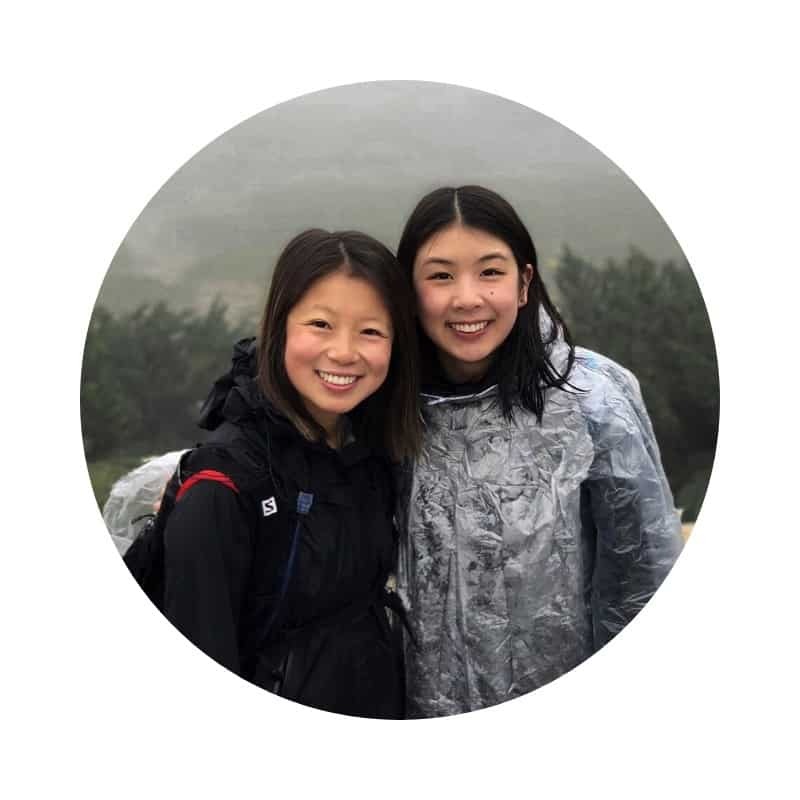 We also found that restaurants, shops, and other establishments operated extremely efficiently, and the customer service was always top notch, which isn’t typically characteristic of a large, busy, and overpopulated city. 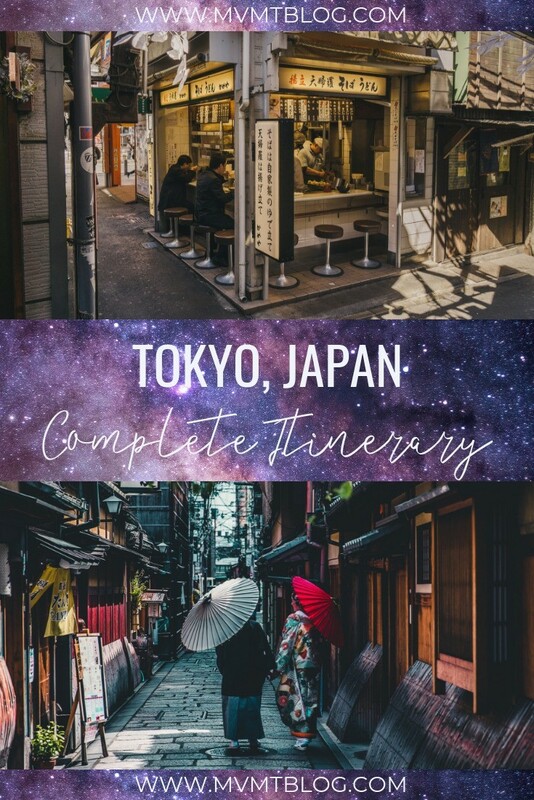 With so many options for things to do and places to see in Tokyo, we’ve put together the ultimate travel itinerary for 3 days in Tokyo so that you can have the most authentic and memorable experience during your short stay in Tokyo. Currency: Japanese Yen (1 USD = 110 Yen, January 2019). 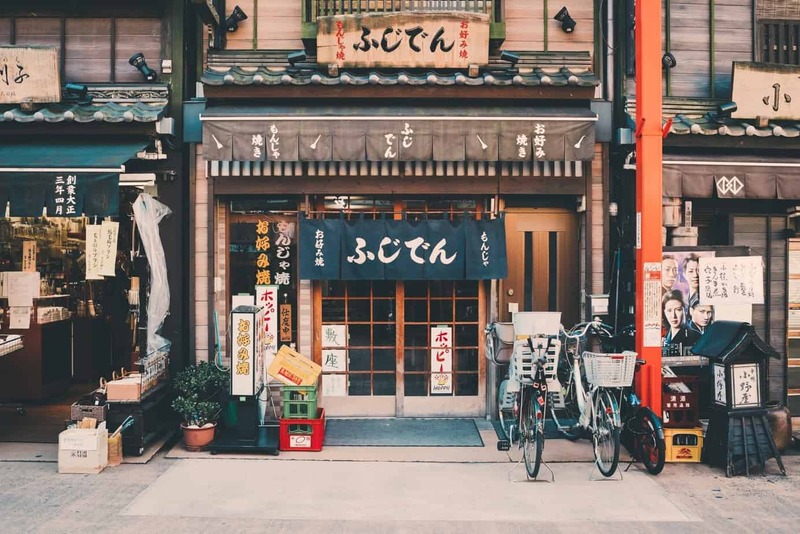 Despite how technologically advanced Japan is, it still largely operates on cash, so make sure you exchange some local currency ahead of time or take out some cash when you arrive. Dress Code: Western/Cutesy-Eccentric. You can pretty much wear what you would normally wear in the U.S. in Tokyo, but you’ll notice that in certain neighborhoods the fashion becomes a lot more eccentric. You can also get away with wearing outfits in Tokyo that you might worry are a bit too “extra” in the U.S. Tattoos are extremely stigmatized in Japan because they are associated with the Yakuza, one of the most dangerous gangs in the world, so if you have tattoos, try to cover them up in public as much as possible. Transportation: Walk/Subway/Taxi. Tokyo is walkable within neighborhoods, but the best way to get from one neighborhood to another is via subway. Purchase a PASMO (IC Card), and easily reload it as needed throughout your trip. Taxis and Ubers are also available in Tokyo but are extremely expensive, so try to stick with the subway as much as possible. The subway stops running at midnight and starts up again at 5:00am, so try to plan your late night adventures near your hotel or be prepared to pay a hefty price for a taxi. You can view the subway map here. Language: Japanese. 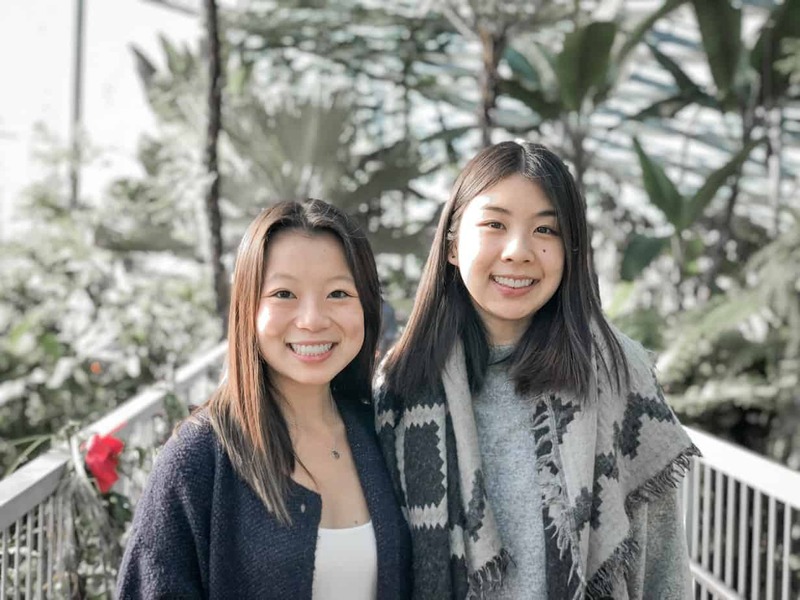 While many locals do not speak English very well, they are all extremely nice and helpful, and with a bit of charades you can get by in Tokyo with no problem. I also noticed that most restaurants in Tokyo had food menus with photos, which makes it a breeze to order even without being able to communicate with the wait staff. Accommodation: We stayed at the Candeo Hotel in Roppongi, the expat neighborhood in Tokyo. It was well-priced, close to a lot of good restaurants, and near the subway. 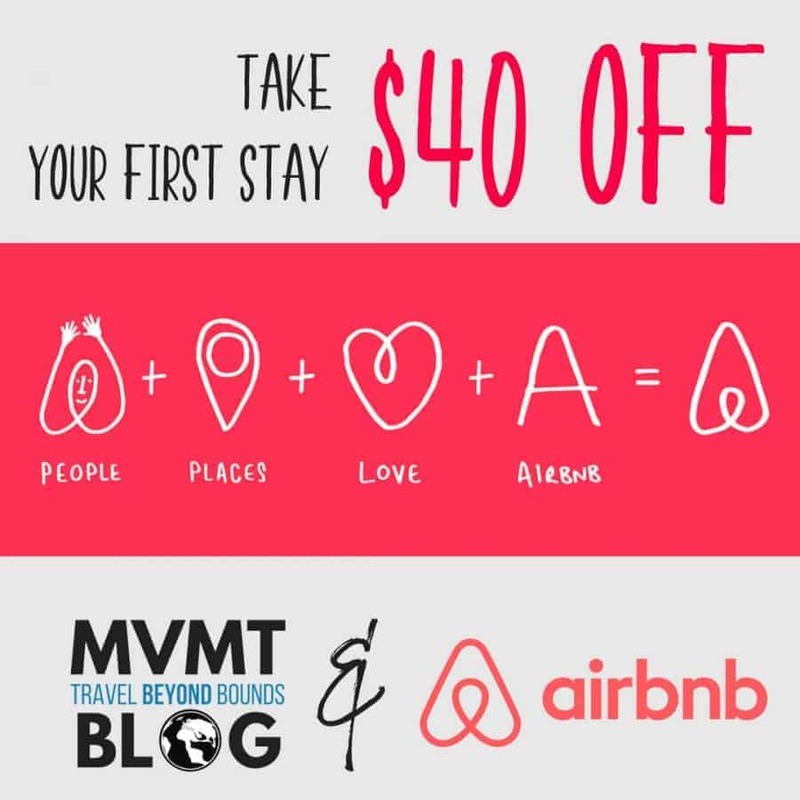 I would recommend staying there. 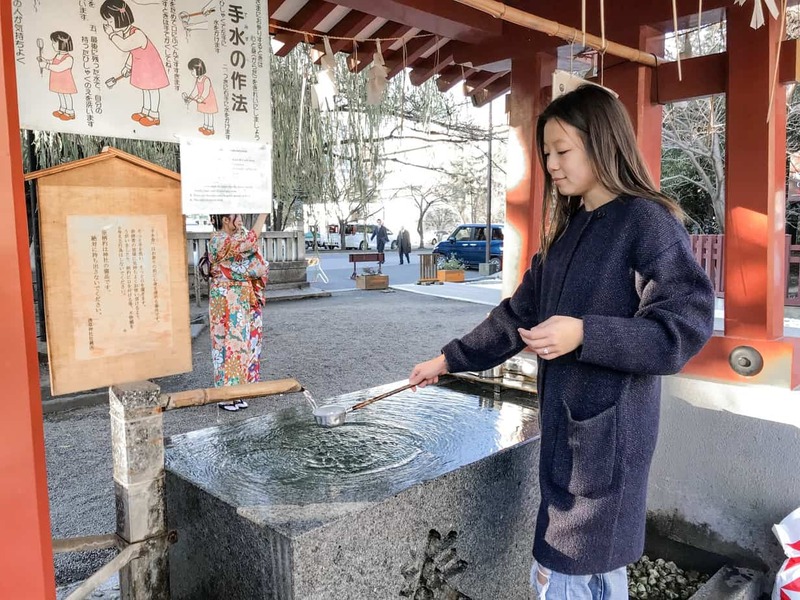 Start your first day in Tokyo with a touristy, yet so quintessentially Japanese, activity that’ll allow you to fulfill your childhood fantasy of jumping into your TV screen and becoming one of the Super Mario characters you always chose to play as. 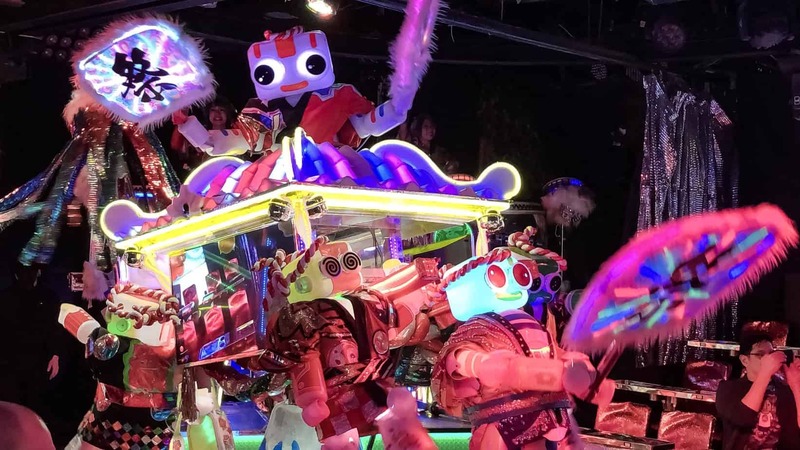 You’ll get to dress up in a Super Mario character onesie and drive a go kart around one of the most iconic pop culture dominated neighborhoods of Akihabara or Harajuku. 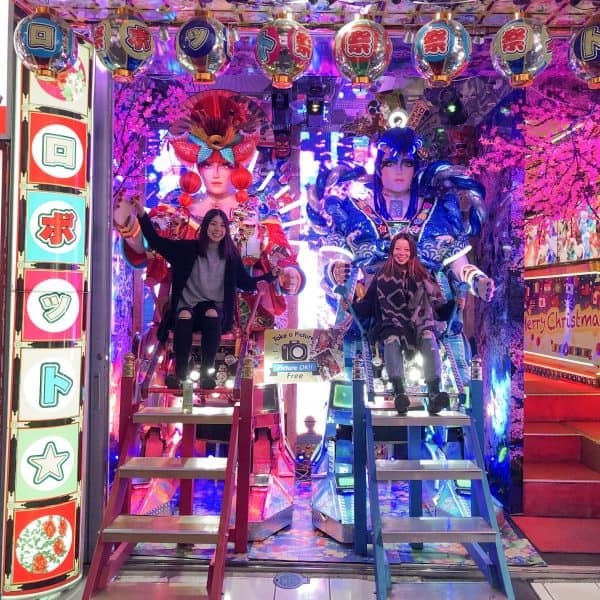 If go karting isn’t really your thing, or if you’re traveling with young ones and can’t partake in real life Mario Kart, spend the morning walking around Akihabara or Harajuku and you’ll get a good feel for Japanese pop culture and see some of the most out-there outfits. After getting a bit of a pop culture overload, head to Shinjuku Gyoen for something a bit more relaxing. Tokyo is filled with beautiful gardens and parks, but since you only have three days in Tokyo and presumably don’t want to spend your entire time there visiting Tokyo’s many gardens, just visit the best one: Shinjuku Gyoen National Garden. This garden is actually three gardens in one: a Japanese Garden, English Garden, and French Garden. 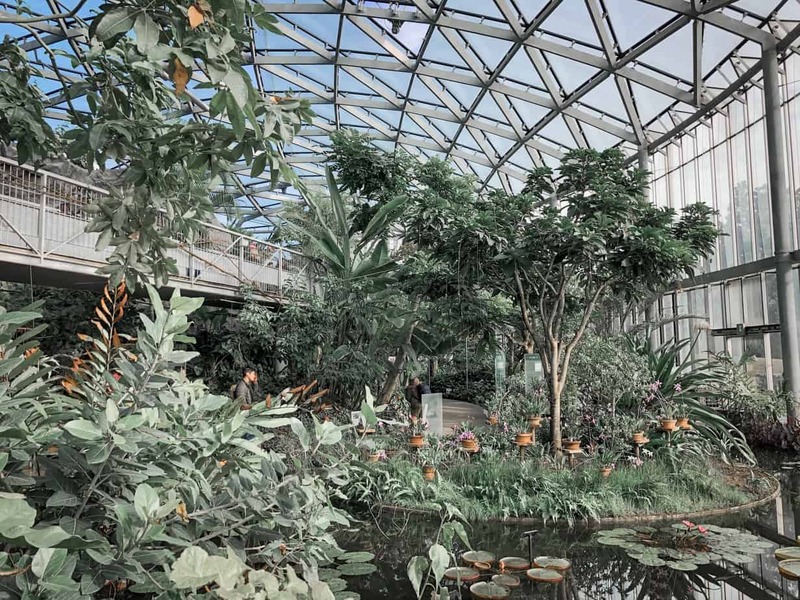 There is also a beautiful greenhouse inside the park with a large collection of tropical and subtropical plants and flowers. To enter, there is a small entrance fee of about 200 yen (less than $2 USD), and it is entirely worth it. There are no restaurants inside the gardens, so make sure you eat before visiting or bring a little picnic with you, as you can easily get lost wandering around and relaxing in the gardens for hours. 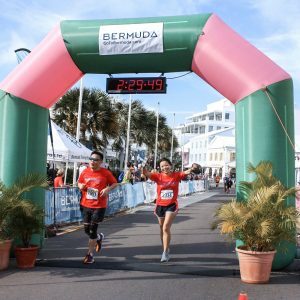 This is also a great place to go for a run if you’re the kind of traveler that likes to stay in shape while traveling, as the majority of streets in Tokyo are much too crowded to run on. Near the center of the park, you will find a small snack stand with pastries and hot buns, as well as drink vending machines (they’re literally everywhere, so this makes sense), so if you do find yourself needing a little pick-me-up, you’ll be covered. After walking around the gardens for a few hours, you will likely have worked up an appetite and be ready to eat. 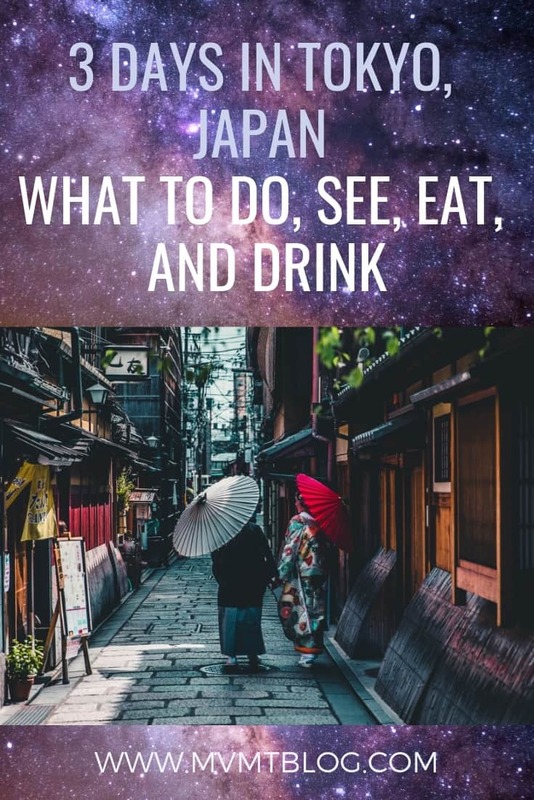 Japan is my favorite food country in the world (Italy is a close second), so I had to include some sort of culinary experience in each day of this three day itinerary. 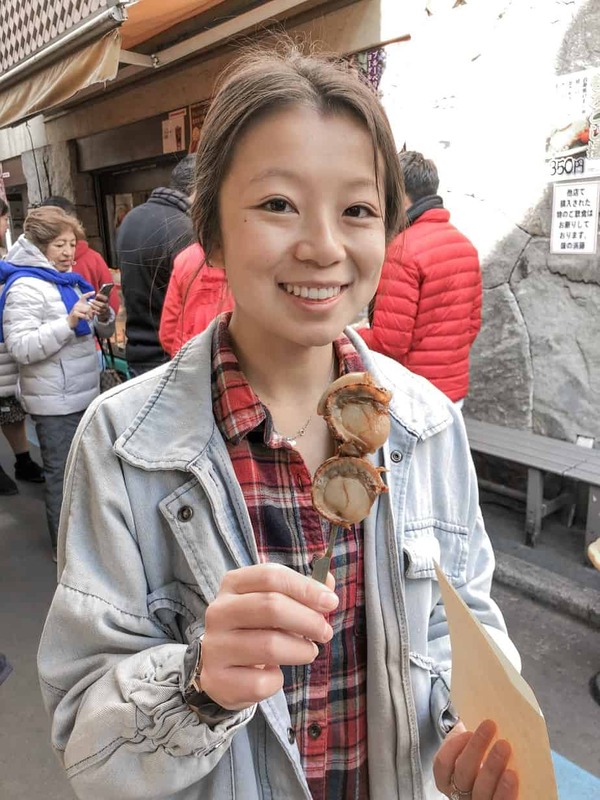 The best way to get exposed to Japanese cuisine on your first day in Tokyo is by going on a food tour, where you’ll be able to try local dishes you’ve never tried before, learn how to navigate an izakaya (Japanese pub), and chat with a local about life in Japan. 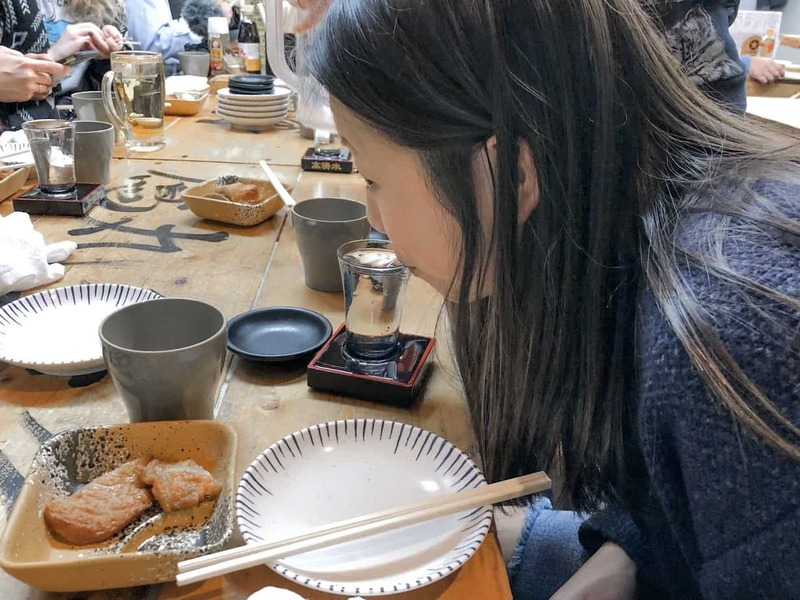 Ninja Food Tours’ “Best of Izakaya” Tour of Shinjuku is the best way to dive head first into Japanese food and drink. 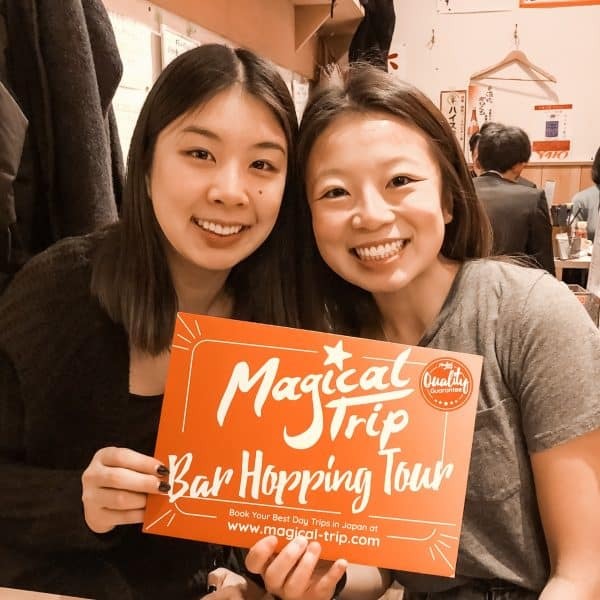 The tour starts with a free sake tasting at the Ninja Food Tour bar, followed by a 3-4 hour food tour around Shinjuku, one of the busiest and most lively neighborhoods in Tokyo. 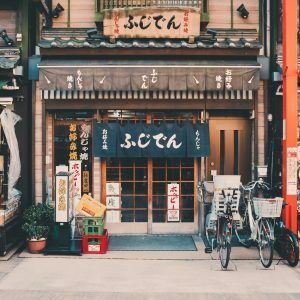 You’ll get to try local dishes like takoyaki (octopus snack), tonkatsu (grilled pork loin), okonomiyaki (Japanese pancake), different types of sashimi, and matcha green tea ice cream. If you’re feeling energized and not yet stuffed after the tour (which is difficult to imagine), head over to Memory Lane, a matrix of about 60 bars and restaurants stacked together in tight alleyways. Memory Lane dates back to the 1940s, when it was filled with street vendors and black market traders. 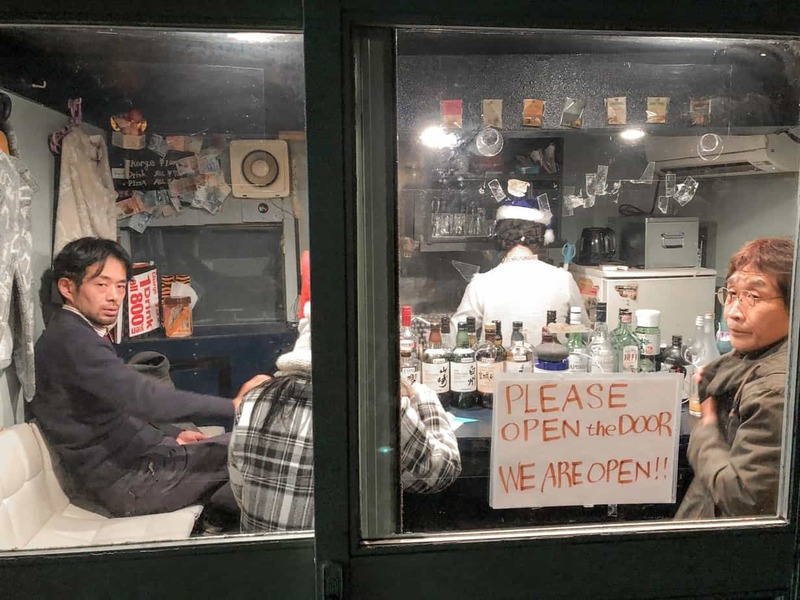 Today, it is a drinking den where most bars and restaurants open at 8:00pm and remain open well into the night (but remember to leave before midnight if you want to catch the last subway back to your hotel and avoid the astronomical taxi fares). Tokyo is such a big city that it can be easy to forget where you are in the big scheme of Tokyo when you’re roaming the streets. That’s why I loved seeing Tokyo from above at Tokyo Skytree, the second tallest building in the world (second only by the Burj Khalifa in Dubai). On a clear day, you can even see Mt. Fuji from the top of the Skytree! Admission to the Skytree costs 2,060 yen ($19 USD) for adults and are reduced for children. If you like to shop, there are tons of shops in the building adjacent to the Skytree, such as Uniqlo, Zara, and many local stores, where you can shop to your heart’s content. Pro tip: Uniqlo is extremely cheap in Tokyo compared to the U.S. since it is a Japanese company, so if you’re a fan of Uniqlo, stock up in Japan! After visiting the Skytree, head over to the Moomin Cafe next door for a matcha latte. If you’re traveling alone, you can even request to have a human-size Moomin stuffed animal brought out and placed across from you at your table so you don’t have to enjoy your latte alone. 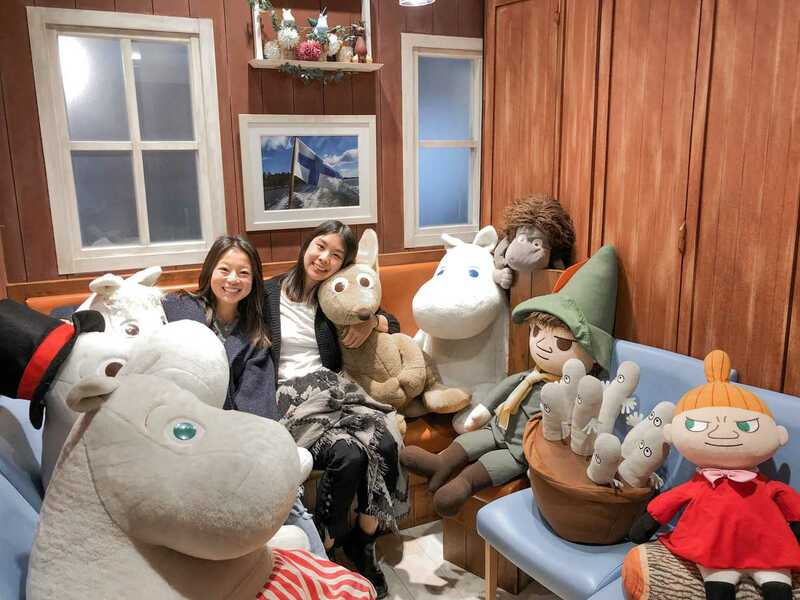 And if you’re not traveling alone, don’t worry – you can still enjoy the company of life-sized stuffed Moomins in a side room where all the stuffed animals are stored while not in use. It’s a pretty ridiculous concept, but where else are you going to find a room full of life-sized stuffed animals to cuddle with at a cafe? After you’re finished sipping tea with stuffed animals, it’s time to put the silliness behind you and get a dose of culture. 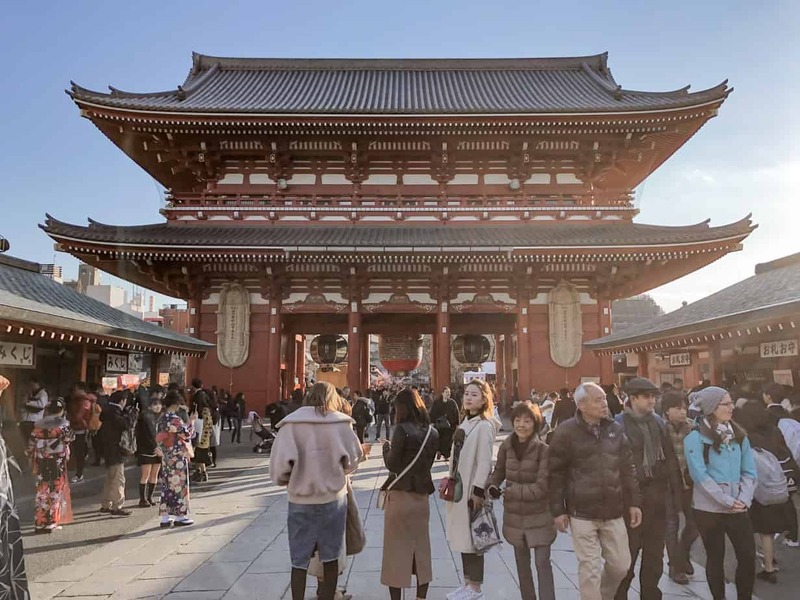 Head over to Sensoji Temple, the oldest temple in Tokyo and also one of the most significant. You can take the subway there, but I would recommend walking if you’re feeling up to it because it’s a nice, peaceful walk with some stunning views. 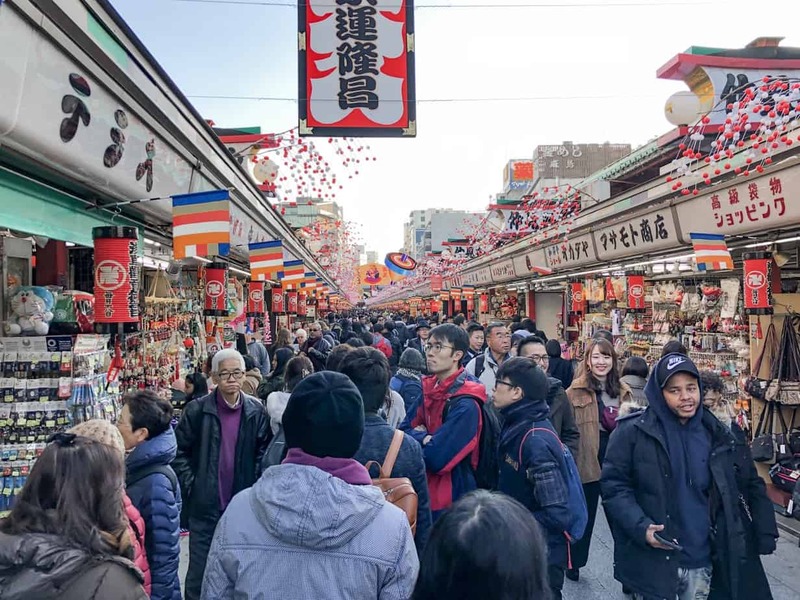 Once you walk out of the temple, you’ll stumble upon Nakamise Shopping Street, a busy outdoor street market full of street vendors selling snacks, souvenirs, and all types of trinkets. We found the prices here to be surprisingly reasonable, so if you see a souvenir you like, just go for it. 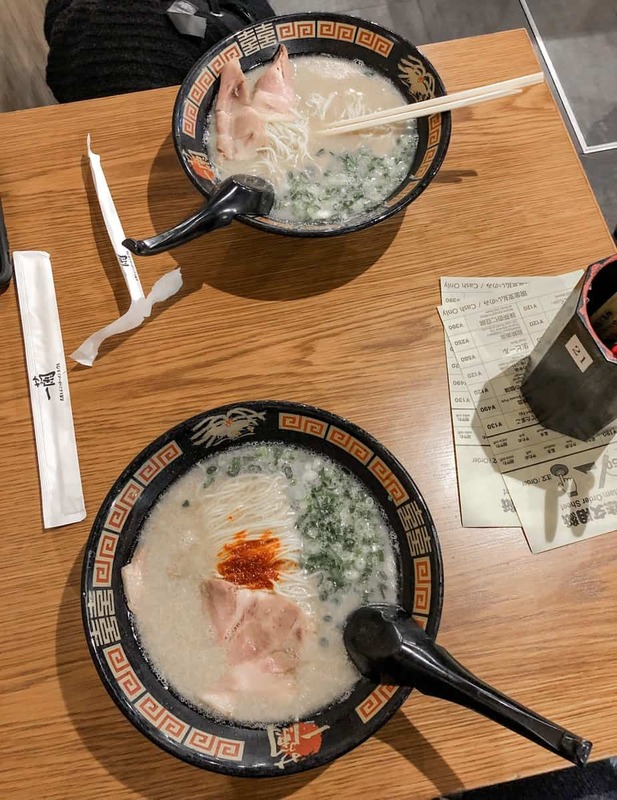 If you’re feeling some hunger pains after a long morning of exploring, head over to Ichiran next to the Asakusa subway station nearby for a bowl of ramen. 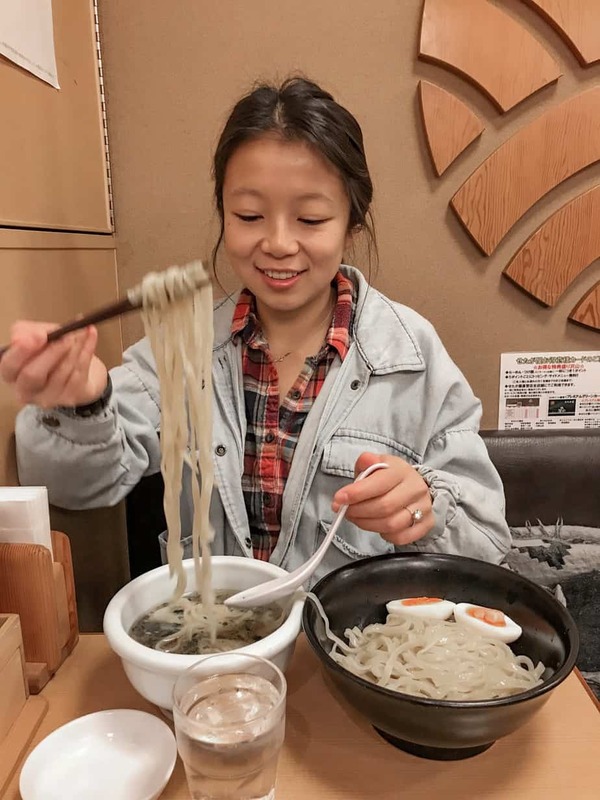 Ichiran is one of the few ramen establishments in Tokyo where solo diners can experience a completely solitary dining experience without interacting with a single soul from start to finish. You simply order your meal from the machine at the front of the restaurant, sit in one of the cubicles, give your ticket to the wait staff, and your ramen will be pushed out to you through the cubicle wall in front of you. You’ll be left to enjoy your bowl of ramen in peace without any unwanted Chatty Cathy’s talking your ear off in the seat next to you. You can also customize your ramen here, so you’re guaranteed the perfect bowl for your tastes. 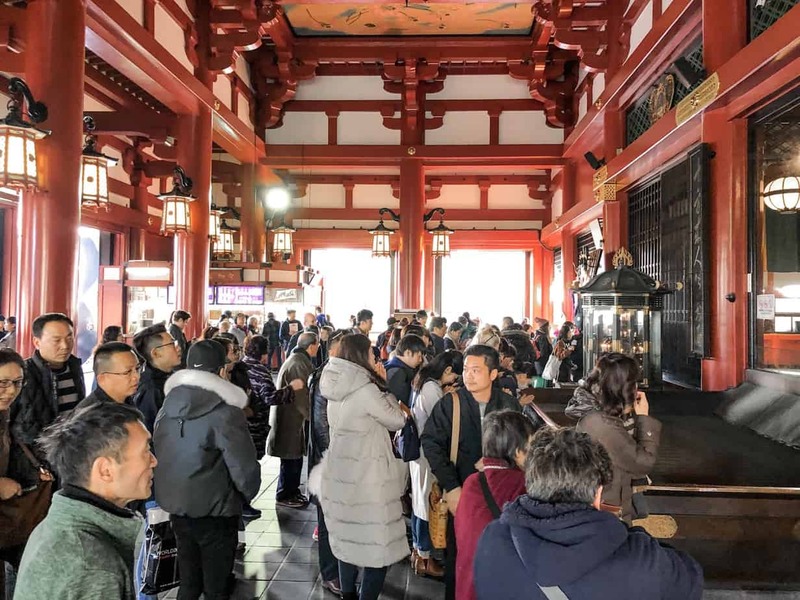 You may need to digest a bit after a big bowl of ramen, so feel free to walk around Asakusa some more if time allows, or head back to your hotel for a short rest before your bar hopping tour at night. Last night was all about getting introduced to different local dishes and learning about sake and izakayas for the first time, but tonight is all about putting into practice what you’ve learned and actually enjoying the experience now that you know what’s going on. I love MagicalTrip’s Shibuya Bar Hopping Night Tour because you get to explore some of the most traditional izakayas in another major neighborhood of Tokyo. Most of the izakayas we visited didn’t even have English menus or only had limited English menus, so it definitely helped to have a local with us to translate the menus for us and give recommendations for the tastiest dishes. 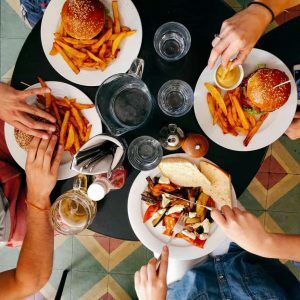 While you will get small plates of food at each stop, this tour is much heavier on the drinking than the eating. You can read more about the tour here and decide if it’s something you want to do. Get your third and final day in Tokyo started early with a big bowl of tsukemen (dipping ramen) at Rokurinsha on Tokyo Ramen Street, which actually isn’t a street but a hallway in the basement of Tokyo Station with eight of the best ramen restaurants in Tokyo. Rokurinsha is open daily from 7:30-9:45am and again from 10:30am-10:45pm, but since there is always a long line outside the restaurant, your best bet is to come early. 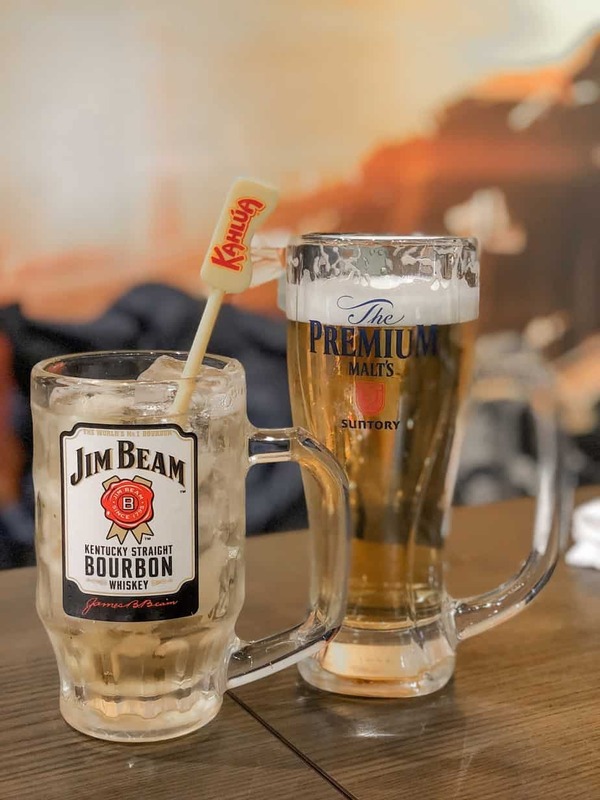 If there is a long wait when you get there, and you don’t feel like standing in line, there are other restaurants on Tokyo Ramen Street that serve tsukemen as well, so have a glance at the menus at the seven other restaurants and take your pick. Really, you can’t go wrong with any of them. After fueling up, take the subway to Odaiba, an entertainment hub and one of the artificial islands in Tokyo. There, you can get a good view of the Rainbow Bridge, which connects Odaiba to the rest of Tokyo and have a stroll along Odaiba Kaihin-Koen, a waterfront park where you’ll find stunning views and a smaller version of the Statue of Liberty. Finally, explore some of the most inventive art at teamLab Borderless at the MORI building, like the art you see pictured below. Tickets are 3,200 yen ($30 USD) for adults and are not always available, so make sure you book online in advance. Keep walking along the waterfront toward Toyosu Fish Market, the newly opened wholesale fish market that replaced what was formerly known as the Tsukiji inner market (the Tsukiji outer market is still open to the public). 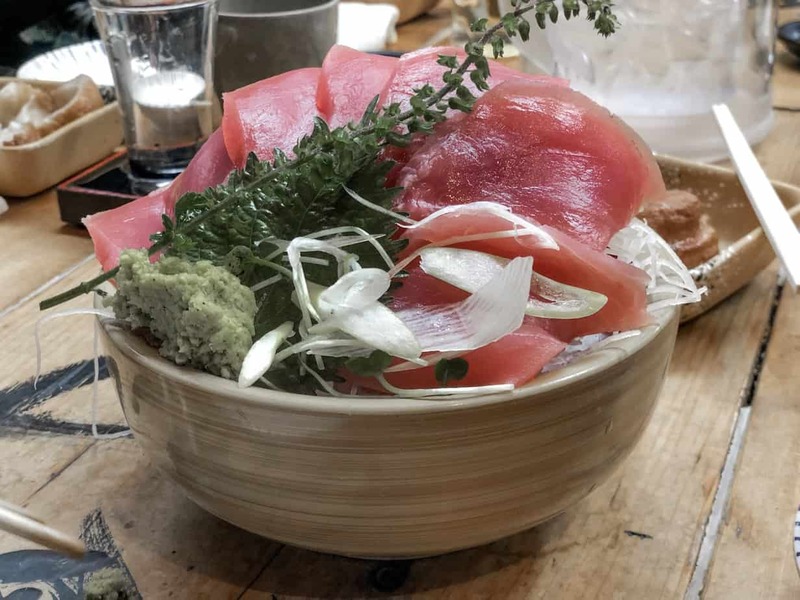 At Toyosu, you can see tuna auctions, wholesale seafood, and taste some delicious foods if you’ve worked up an appetite since your breakfast ramen. 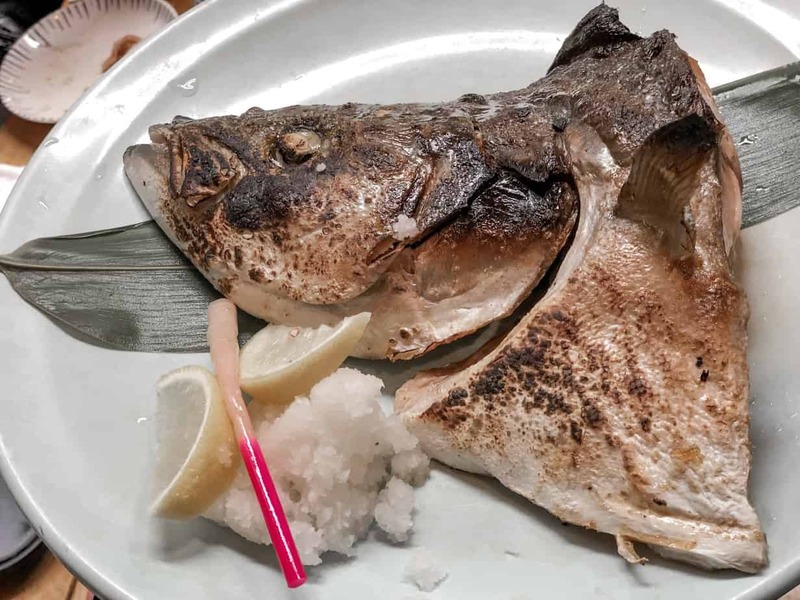 This guide from Tokyo Cheapo has all the information you need to know about Toyosu Fish Market. After checking out some wholesale fish, it’s time to head over to Tsukiji Fish Market, the original wholesale seafood market before Toyosu Market opened in 2018. Although the Tsukiji inner market, where the wholesale fish market was housed, has recently been closed and moved to Toyosu Market, the Tsukiji outer market, where alleyways are lined with different street vendors selling skewers and bites of seafood, snacks, desserts, and even tea, is still open to the public. Even though we had just eaten a large meal right before we went to Tsukiji, we couldn’t resist tasting some of the seafood and desserts we found there. If you haven’t fallen into a food coma by now, congratulations! 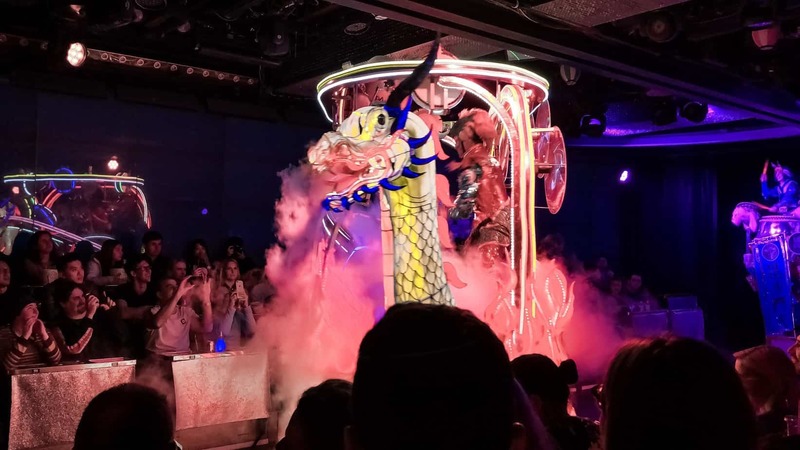 And if you have, there is only one thing that’s sure to wake you up: the Robot Restaurant. It’s hard to explain in words what you’ll experience at the Robot Show because the experience is so much more stimulating and shocking than words can even describe, so you’ll just have to go experience it for yourself. Tickets cost around $70 USD but can vary a bit depending on which website you purchase from and how far out you purchase them. I’ve found that you can usually find the lowest prices at this website. 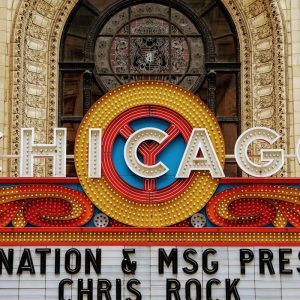 When you purchase your ticket, you’ll have the option of purchasing a ticket for the show alone or for the show and a meal. 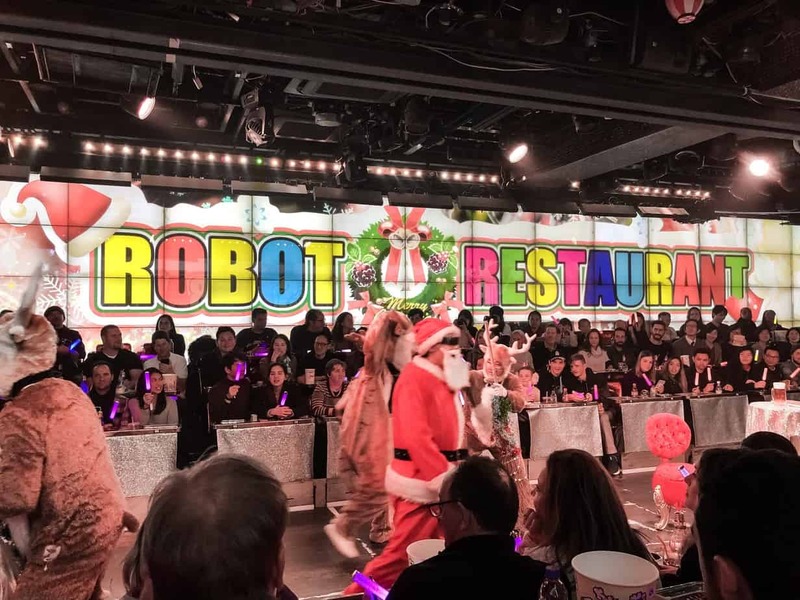 Robot Restaurant is not known for its food, and you can find much better food at just about any restaurant in its vicinity, so I recommend eating dinner before you arrive. You can purchase drinks before and during the show, and they are pretty reasonably priced. 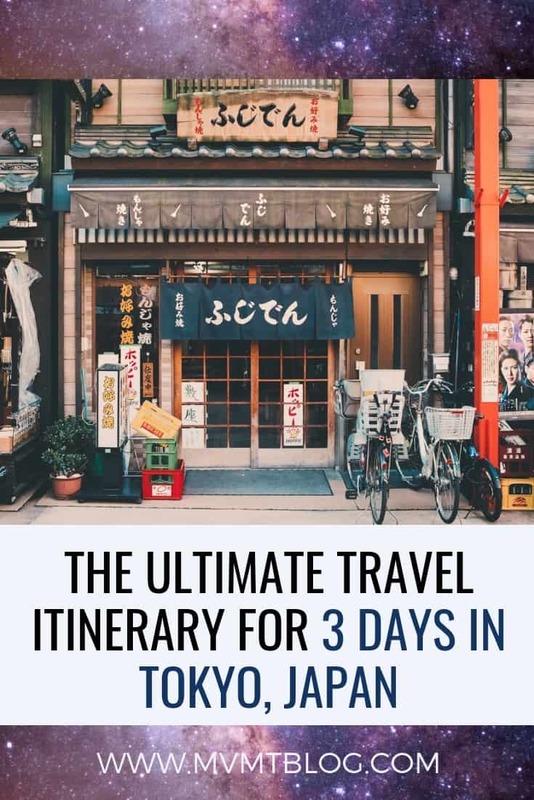 Our ultimate travel itinerary for three days in Tokyo is action packed and will help you to see the main sights, but it will also leave you wanting more. I have no doubt I will return to Tokyo one day, and when I do, I hope to see you there! I love the efficiency and cutesy-eccentric! Can’t wait to visit….I’ll certainly be requesting a buddy while I sip my coffee. Thanks for the post! Can’t wait to finally visit Japan, it’s honestly my dream! I’m actually planning it for early next year, because we want to see snow! I’ll definitely be spending time in Tokyo before though, so I’m saving this for later! Hm, I have been to Tokyo several time but none of these places I have been. I like the food over there, special those Ramen. Of course I like the Shashimi there very much. I spent much of my time to eat there…next time maybe to look around the cultural facts. Omg your pictures speak volumes. I can see how much you have experienced and how much fun it was. Some of them were also very nice to see and save for my trip there, like the Teamlab Borderless and Shinjuku Gyoen National Garden. I have heard amazing things about Japan but have never been. I definitely hope to get a chance to visit. I’m pretty sure that I could work myself into a food coma with all those amazing places to eat. I love trying the local cuisine when I travel. The views from the Skytree are amazing! It’s always so cool to be high enough to overlook a city. 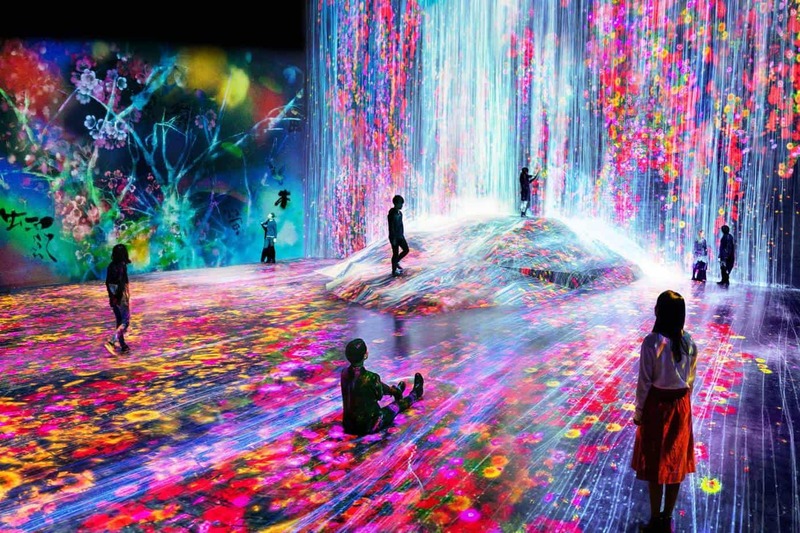 And I’d definitely want to add the gardens and teamLab Borderless to my visit!! Everyone I know that has gone to Japan has loved it! I really hope I can make it out there some day. You shared a great itinerary. Hope you had lots of fun! Toyko seems very cool! I was surprised to learn that a tattoo there is associated with Yakuza! 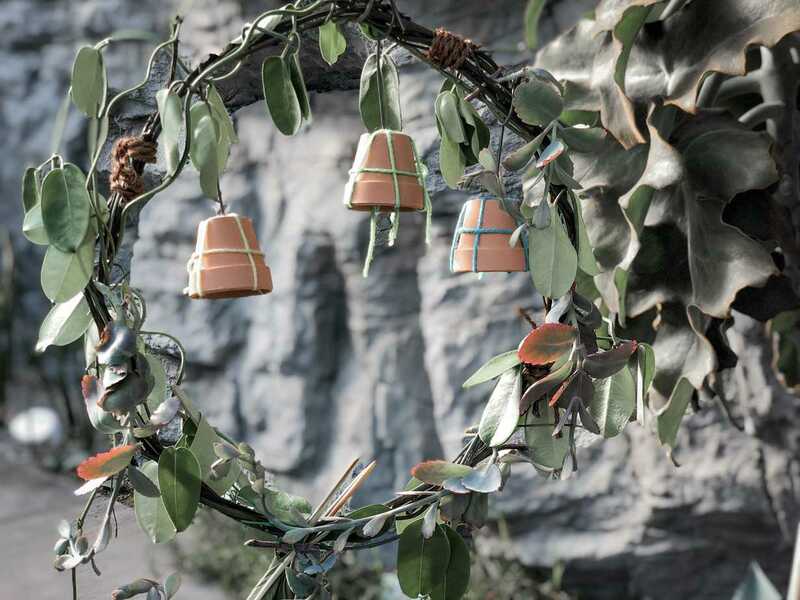 The owl cafe looks so CUTE! I have heard of cat cafes, but not yet an owl cafe. Ramen is one of my favorite foods, so would absolutely love to try it there. Japan and its people always intrigued me with their brave eccentricity. Shinjuku, Super Mario, all kinds of bars and cafés. I was surprised to read about the tattoo though. I love the quirkiness of Tokyo. I have only spent 3 days there many years ago and loved Harajuku. I did not realise that the Skytree was the 2nd tallest building in the world. The views from there looked spectacular. It is time for me to return and I will bookmark this article to take with me. Thanks for sharing. Tokyo has always had this amazing allure to me, but I have yet to visit! This itinerary seems like a dream. It’s such a wonderful mix of pop culture, food culture, and just being. Can’t wait to finally go and use this as a resource!! My bf recently spent three weeks in Tokyo – he loved it so much, he never left the city for his entire Japan trip! 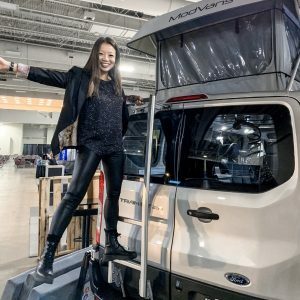 Really informative post & lovely photos! I love that your photos are “real life”. Rock on, girl, can’t wait to se ewhere you go next! Thanks so much, Tasha! That doesn’t surprise me at all that your bf spent 3 weeks in Tokyo – there was so much to do and see you really do need weeks. I was also pleasantly surprised by how livable of a city it felt too. I can’t really see myself living in many Asian cities, but Tokyo is one that I could see myself living in! I visited Japan a few years ago and I absolutely loved it. I stopped by Osaka, Kyoto and Tokyo. I went for 10 days but definitely could have stayed longer. Reading this post has brought back so many good memories! I’d love to go back. 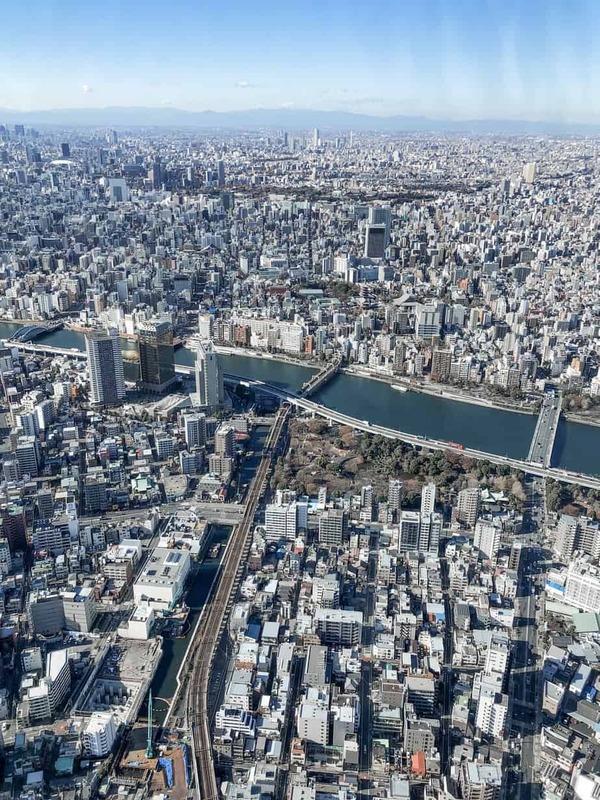 This is a very comprehensive post about Tokyo. It even includes some practical information about visiting the city. I can’t wait to finally visit Japan. 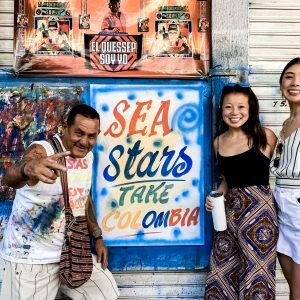 I’ve been dreaming about this trip for a few good years now, so your post comes just in time. This post could not be any more timely! Just starting to plan our Japan trip. We have been before but now looking for some things we didn’t do the last time. Heard about the Teamlab and looks amazing and perfect for teenage girls. Thought about doing the Mario kart too cause it just looks crazy but we’ll be there in the summer and wondering if the costumes and stuff will be too hot. Love all the food recomendations! So bookmakring this page! 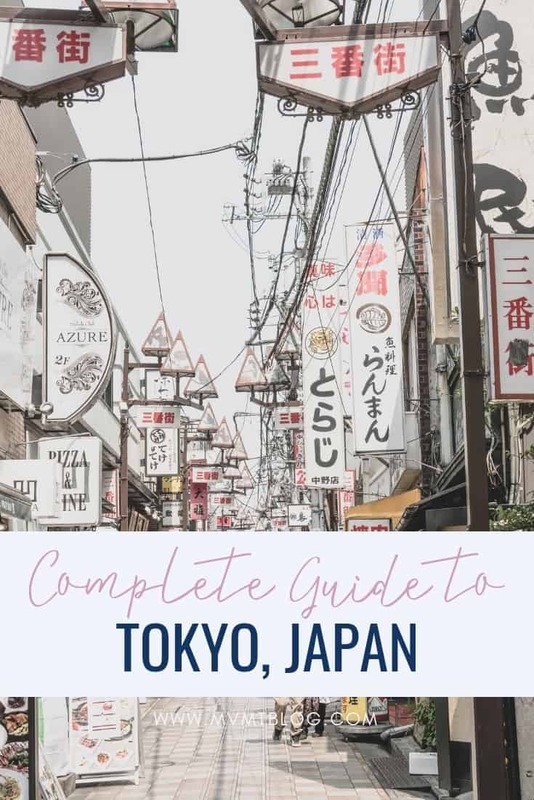 This is a complete itinerary of Tokyo. When I was planning the itinerary of Japan, I was wondering how many days should I be contributing to Tokyo. There are so many things to do and places to see. I think 3 days will be right after reading your blog. You have nicely mentioned places to see and food to eat on each day. That makes it easy for me to plan. Yes, Japan is also one of my favorite places in the world. It’s really clean, food is great and wonderful public transportation system. Thank you for sharing your itinerary. 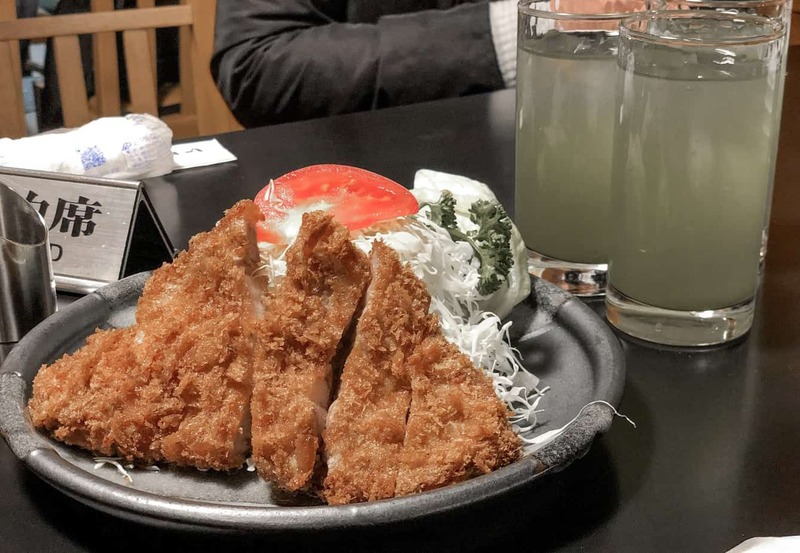 Your post made me crave for some Tonkatsu. I have this post saved for later because Japan is high on my list. I will be referring back to this! I do love Tokyo and really do want to visit. But it’s prices do scare me! Amusing to know that they still prefer cash to card. That’s quite a well-made 3 day itinerary. Hope I’ll make it there soon. 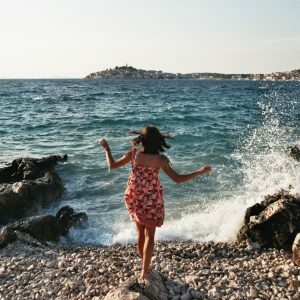 This is such an awesome post Diana! 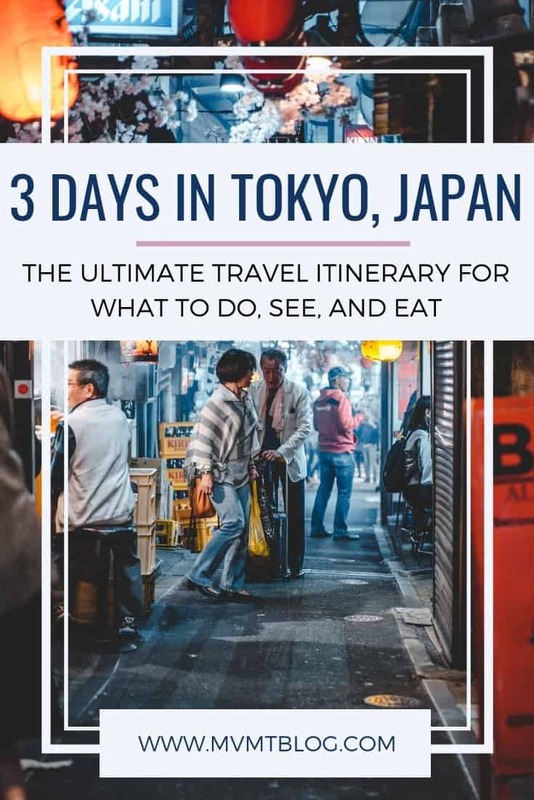 I have been to Tokyo quite a few times (I have lost count) but you really chose great options for a varied three days! I LOVE how much food you ladies managed to cram into your bellies! Good work! That sounds amazing, Josy! 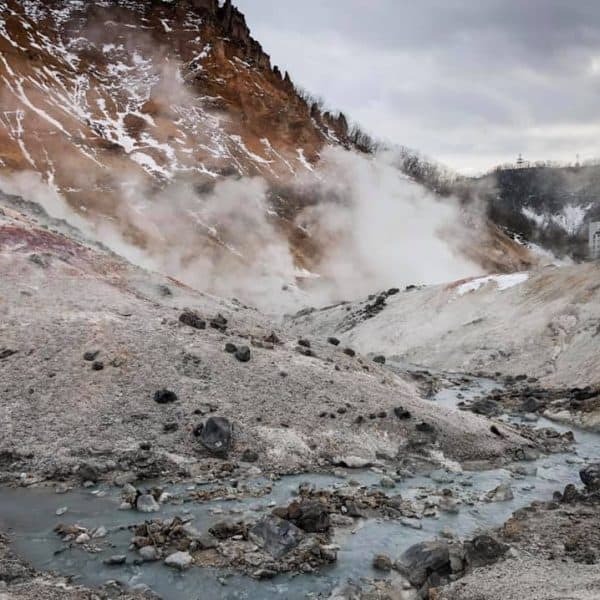 We went up to Noboribetsu, an onsen town in Hokkaido, just for the onsens so we didn’t spend any time in Tokyo visiting onsens, but next time we return we will certainly check out the Oedo onsen! Thanks for the rec!